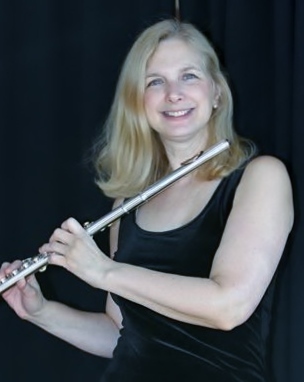 Preservation New Jersey and the New Jersey Jazz Society are pleased to welcome the Wendy Zoffer Flute Experience back to the 1867 Sanctuary for a Sunday matinee program of Jazz standards, blues, sambas, and swing! Featured performers are Wendy Zoffer, Flute; Alex Otey, Piano; Chris M. Clark. Bass; Darrel Soltesz, Drums. Alex Otey is a pianist, singer, trumpeter, composer/arranger, producer and recording engineer who has performed with a number of prominent jazz musicians including Aaron Bing, Lew Soloff, and Sunny Stitt, and recorded with Grover Washington Jr and Richie Cole. He’s a participant on a GRAMMY® Winning and on two GRAMMY® Nominated projects as a contributing artist, producer and arranger. He hosts The Trenton Jazz Show aired on WWFM JazzOn2 89.1 HD2 “Jazz on 2” and he performs regularly as a Jazz Piano-Vocalist at many venues as well as for Princeton Music Connection. Chris Clark (www.ChrisClarkBass.com) currently teaches double bass at The College of New Jersey, the Lawrenceville School, and Arcadia University. He has previously taught at Rider University and the University of North Texas. He holds degrees in double bass performance from the University of North Texas and the University of North Carolina-Greensboro. Settling to raise a family in New Jersey between the Philadelphia and New York City music scenes, his portfolio has included many orchestral bass tutti performances, including a concerto performance of the Koussevitsky Double Bass Concerto as soloist, local jazz artisan engagements, musical theater productions, cabaret engagements in New York, and solo and chamber music recitals. His bass work helped garner a Grammy nomination in 2012 for the family music release Fitness Rock & Roll by Miss Amy and her Big Kids Band. In 2016, he contributed to the short film “Home,” starring New York cabaret artist Charles Baran, a film which has been selected for the Winter Film Awards #WFA2017 in New York City.